My car was imported privately to Australia from the UK by the previous owner. Mainly for my own curiosity, is there a way (preferably online) to trace the original UK number plates from a vin? Thanks. That is exactly what I was after. I'll get right onto it. 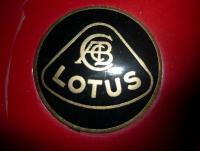 I'm planning a trip to the uk later this year and hope to include a tour of the Lotus factory. I've heard that you can get certificates detailing the history of your car. I have a few questions. 1. What is actually on the certificates? 2. How much do they cost? 3. Do you think they are worth it? And 4. How do you go about organising one? Thanks in advance. I've been away from the forum for a while and haven't seen this thread before. Anyway, here is my 83 Excel. It's a pic I've posted before but it is my favourite. I need some help regarding sourcing a new Cooling Fan Thermal (Otter) Switch. I haven't had any luck finding one in any of my local (Western Australia) motoring shops. I have found them on UK websites which I will order from one if I need to. Does anyone know a manfacturer and/or part number of the genuine or an alternative Otter switch? Thanks Mike. I managed to get the fans working today. It was a case of a blown fuse which had been attached to the wiring loom. A new fuse and, hey presto!